Please check the postage rates when calculating the cost of your order. Census Returns (1841 - 1911 and available 1821) �View the order form. The descriptions of the enumeration districts. A surname index giving a list of property references where all the "surnames" are. The transcript of the census. 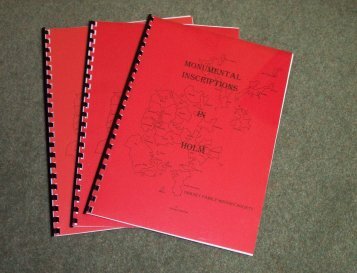 Monumental Inscriptions View the status & order form. A plan of the graveyard(s). A surname index giving a list of stone references. The transcript of the monuments. The binders are dark green with gold embossing on the spine and one binder can hold twenty magazines. The magazines are held in place by elasticated string and can be easily removed from the binder. 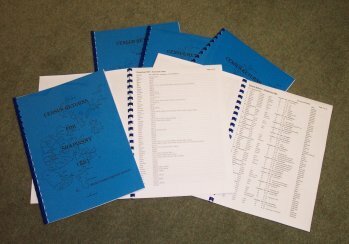 The binders are priced at �6.00 each, to hold every issue up to 2011 you would only need 3 binders. 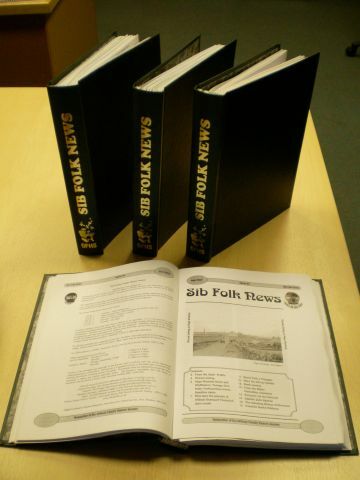 Each binder is boxed and weighs 400 grams, when ordering please include an amount for the postage & packing. If you are in any doubt please contact the Society. Back issues of the magazine can be ordered at �1.00 each.